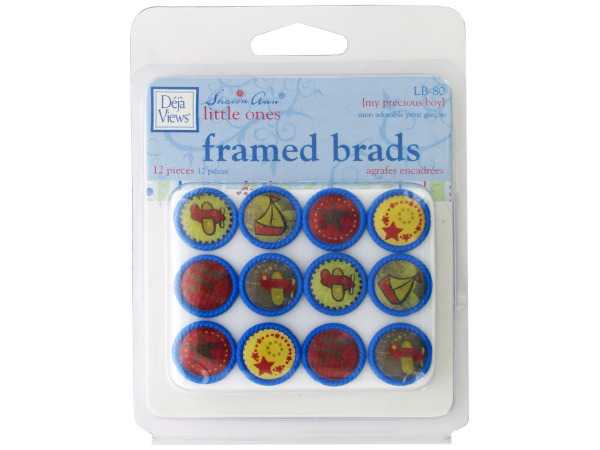 Brads embellishments are an amazing way to make your scrapbooking projects stand out. Order a set of our special brads and you will be ready to get your next scrapbook started. Whether your scrapbook features important family milestones, time spent with friends, or any other topic, adorn your scrapbook with brads. Have you noticed that the most interesting and unique scrapbooks always have brads? Don't let your scrapbook collection become just like all the rest. Use our brads to set yours apart. You may be new to scrapbooking, or you may be an experienced scrapbooker. Either way, our brads are perfect for your next project!